How Will An Interest Rate Hike Affect Multifamily? The Fed’s decision was not built upon spontaneous conclusions. For months, members of the Board of Governors discussed the possibility of raising rates from their existing benchmark of 0.25%. The unanimous decision to increase short term benchmarks to a range of 0.50% and 0.75% was motivated by strong perception of the current market. In particular, increased employment and wage levels played a decisive role. 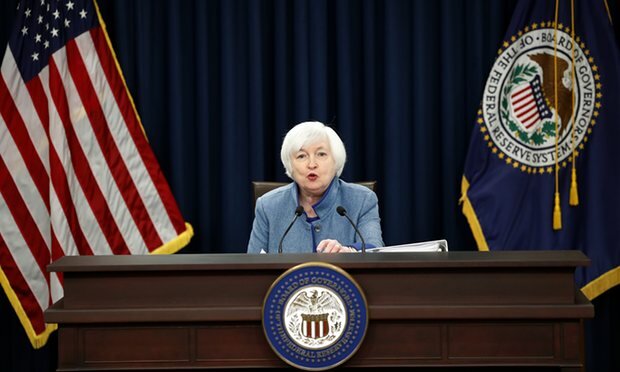 “Our decision to raise rates should certainly be understood as a reflection of confidence we have in the progress the economy has made and our judgment that that progress will continue” explained Janet Yelled, Chair of the Board of Governors of the Federal Reserve System during a post-vote press conference. She further added that the decision was a “vote of confidence in the economy”. For the moment, change to current interest rate should little affect on the existing CRE markets. In many cases the 25 basis point increase was baked into projections. Most financial analysts and organizations anticipated the hike due to prolonged expectation. “Rates can’t stay at zero forever,” Brent Horal, assurance partner in BDO’s real estate and construction practice told Co-Star in a recent interview.”Over the last couple of months, people have come to the realization that rates are going up and that it will probably affect values, and stock prices are taking the toll. In addition to a 0.25% hike for 2016, the board also hinted at several more occurring throughout 2017 to boost the rate above 1% bracket. The real question is how fast will it rise? Investors in commercial real estate should always proceed with caution when interest rates show signs of increase. This is particularly true with residential “The multifamily investment sector could feel the increase most acutely” Randyl Drummer explains in his report for Co-Star. Citing Robert S. Nelson, Drummer presents the following case about capitalization rates: “If interest rates continue to rise down the path that the Central Bank projects, then capitalization rate will rise and put downward pressure on real estate values”. However economists want to spin concern about the future of CRE, the short term prognosis on maintaining these assets are still quite good. The 2017 market outlook is currently optimistic, with a period of literal transition as the market prepares for a new year and a new presidency. Signs also point to increased consumer confidence. Axiometrics’ KC Sanjay and Chuck Lehmann both published recent articles suggesting that a rise in wage growth and above average holiday shopping number were likely the result of consumer assurance in the market. Residential owners can use this confidence to their advantage, taking current market conditions to lock in fairly low Cap rates and benefit from a populace with income to indulge on new living spaces. The Federal Reserve’s decision may be optimistic in nature, but it does signal a change in the market as we have seen for the last decade. Conditions will be in flux for a few years as industries cope with increased interest. However, to take a stance of immediately cashing out will not offer any reward that a strong economy will provide. The policies of a new presidential administration, coupled with strong consumer confidence means now it is still a great time to get established in commercial real estate.